If you go down to the woods today then you may well come across Poa – he’s the forest spirit here to offer players a multitude of bonus features in Wishwood, this fantasy-themed online slot from IGT; keep reading to find out how to climb the ‘luckiest tree in the forest’. 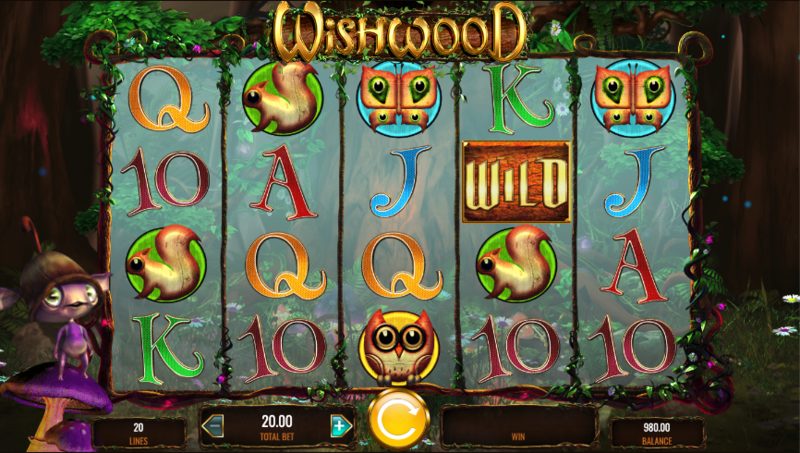 Wishwood is a five reel slot with four rows and twenty fixed paylines; a twinkling soundtrack keeps the gameplay buzzing along which takes place on a set of opaque reels through which we have a charming woodland view. Poa stands ready to help on the left hand side. The high value symbols include Poa’s hat, an owl, a squirrel and a butterfly while the lower values are the standard 10, J, Q, K and A. 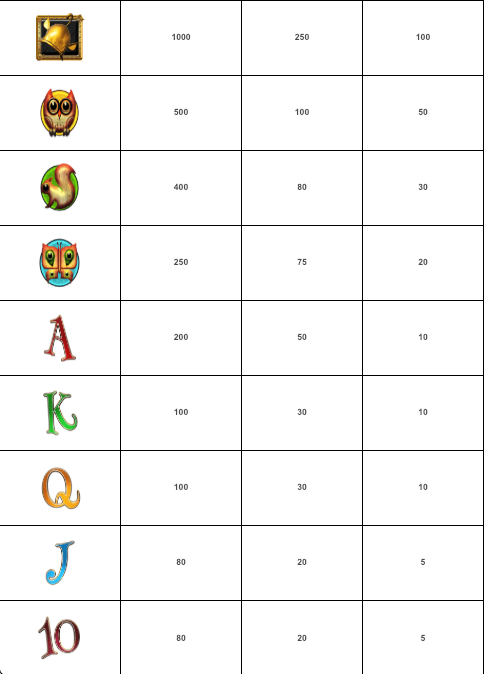 The wild is a big, gold ‘Wild’ which will replace all others to help form winning combos except for the ‘bonus’ symbol. Wispy Wilds – up to four extra wilds are added to each reel. Magic Multipliers – three or four multiplier values between 2x and 10x appear between the reels and if they touch any winning combos they will multiply that win. Bonus Climb – the main feature, see below. On any base game spin a winning combo will lock in place and the reels will spin again; any new winning symbols will also lock and this process will continue until there are no more wins. Amber Wilds – awards seven free spins with any wilds stuck in place until the round ends. Enchanted Wilds – awards five free spins and any wisps landing on reels two, three or four will fill up a meter on the left hand side; as it fills, the three high value symbols gradually become wild also. Top Of The Tree Bonus – awards eight free spins with one high value symbol selected by you; when this symbol lands it will fill its reel and if there are others in view any symbols between them will also be transformed into matching ones. Wishwood is a charming slot which combines bonus features and stylised animal symbols to create a very playable atmosphere; there’s always something happening and the soundtrack keeps things ticking along.